What do you do when you want a sense of security but don’t want to shell out big bucks? Print your own dummy security camera with a 3D printer, obviously. That’s precisely what Dr. Özkal Özsoy did. Dr. Özkal Özsoy is an electronics engineer, product design consultant, and inventor based in Istanbul, Turkey. With his knowledge, experience, research, and 3D printer, he set out to build his own dummy security camera. He began by researching different security cameras and which design would best deter criminals and intruders from targeting his apartment. Once he decided on a model, he scaled it down so that all 3D printers on the market could print it, but this move also saved materials. Because of its hollow interior, it’s possible to house an actual wireless security camera within it. The dummy camera is divided into four different parts for easy assembly. He also included four holes for 3mm LEDS, and used a wide angle, LED collimator as the lens. These parts make the dummy camera much more believable. Security cameras, whether dummy or real, can be a great way to avoid becoming a target. Most criminals will avoid security cameras, as they can produce evidence that may identify them. You don’t need to break the bank to protect yourself. 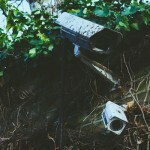 Find affordable security cameras and camera systems at SecurityCamExpert.com. Need help? Our expert staff is happy to help – give us a call at 1-888-203-6294. You can also connect with us on Facebook, Google+, Twitter, and Pinterest. At One Government Center in Fall River, Massachusetts, a new security camera system was installed. While this is a common security measure that many cities are catching on to, the problem was that the installation was kept fairly quiet and some are complaining that fake security cameras were installed. Why were they installed? How much did it cost? Why install fake cameras? Public discussion about this installation is being averted, but the people want answers. For public areas, such as the previously mentioned government building, it is uncommon for dummy security cameras to be employed. For home or business owners, however, dummy security cameras can be beneficial to deterring crimes or providing the illusion of a more elaborate security system. Whether you are looking to expand an existing security system or you want to use the dummy camera as a simple deterrent, it’s ever important to find a realistic looking camera. Do research on actual security cameras, evaluate the features and details. Look into fake security cameras and compare the physical differences. Some fake security cameras have a flashing or consistent red light on, while most security cameras lack this. Wiring is important too; you want it to look like your camera is connected to something, otherwise, intruders may catch on. If you’re expanding a real security system, find a dummy camera that blends in with your system. It would be bad to have a camera stand out from the rest as it may draw attention and provoke questions. Also, be sure to keep quiet about the fake security cameras. The idea is to convince people that your property is highly monitored and any foul behavior will be caught. Dummy cameras may have a bad reputation, but they can help home and business owners with cost-effective security. Since these cameras are usually on the more affordable, inexpensive side, installing them is an easy solution. Most people will see these cameras and think twice about doing anything. Determined thieves may further investigate. For the most part, dummy cameras can deter petty burglars for a small cost. We offer great prices on all of our security cameras, fake and real. Check out our inventory online at SecurityCamExpert.com. Please feel free to call us at 1-888-203-6294 with any questions.